(SAVANNAH, GA) Enmarket, (formerly Enmark) is pleased to announce it has been recognized for extraordinary leadership in the convenience store and retail petroleum industry. The Savannah-based company received the 2016 Catalyst award in Foodservice by CSP Magazine at the 2016 Outlook Leadership Conference held Nov. 9-11 in Scottsdale, Ariz. Matt Clements, director of marketing, accepted the award in recognition of his development of enmarket’s rebranded image and for leading its “Enrich Life!” program. Enmarket now offers a greater variety of freshly prepared food and healthy snacks to customers at its 60 stores in Georgia, South Carolina and North Carolina. It has also increased the availability of better-for-you snacks with more organic, gluten free and non-GMO options for customers. Fresh salads, sandwiches, and produce are delivered multiple times each week, so enmarket can offer the freshest possible products. The company has also recently partnered with Partnership for a Healthier America (PHA) in the effort to help end childhood obesity and further its commitment to fostering a healthier community. Recently, the convenience store chain has invested more than $500,000 a year to increase the starting salaries of its employees to well above the national federal minimum wage and raise its senior general managers’ earnings potential. 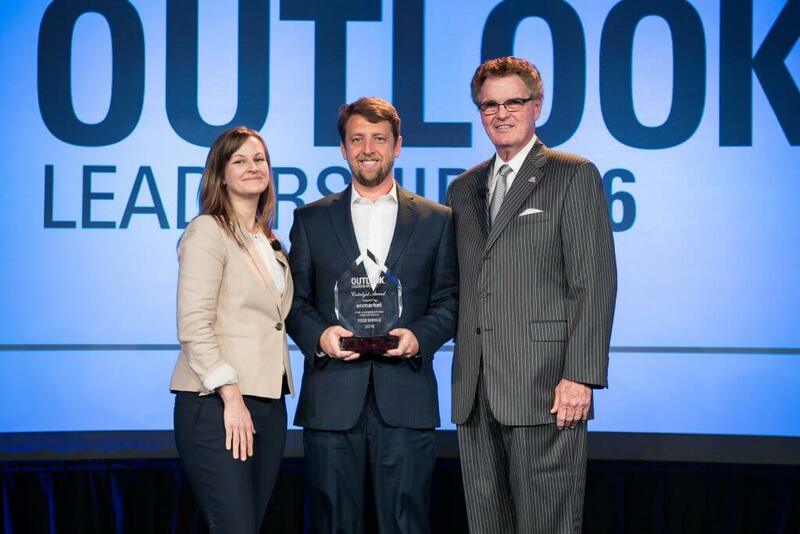 Enmarket was one of three companies to receive this year’s Outlook Catalyst Awards, recognized for its efforts in Foodservice. WESCO was honored for its Employee Engagement efforts, and 7-Eleven Stores received the Catalyst award for Design. Enmarket was recognized for their efforts in pioneering and promoting the technological, emotional and/or physical betterment of their organization. More than 500 convenience-store executives attended the 2016 Outlook Leadership Conference to learn more about industry topics ranging from natural/organic to technology, the presidential election, talent diversity, finances and TV success. The mission of the annual event is to assemble the right mix of trailblazers from the convenience and petroleum retailing industry in an environment that stimulates conversation and actionable solutions for long-term success. The Catalyst awards are presented each year by CSP magazine to the extraordinary leadership of three companies in the convenience/retail petroleum industry. With more than 1000,000 subscribers, CSP is the leading convenience store and petroleum retailing publication in the industry. Founded as Interstate Stations in 1963 by Robert Demere, Enmark Stations, Inc., which recently rebranded as enmarket, is a family-run business committed to offering its customers top-notch service and superior products. Today, the Savannah-based company, which celebrated its 50-year anniversary in 2013, operates 60 stores in Georgia, South Carolina and North Carolina. Enmarket’s mission is to Enrich Life! Stores offer freshly prepared food and healthy snacks, high-quality double filtered gasoline, beverages, lottery services and more. Enmarket customers can save up to $.10 per gallon by using the company’s Cash Card, a reloadable stored-value card that can be used directly at the pump. Coupons, promotions, and a location finder are available on the free mobile app. For more information on enmarket, please call 912-236-1331 or visit www.enmarket.com. Follow enmarket on Twitter at @enmarkenjoy. 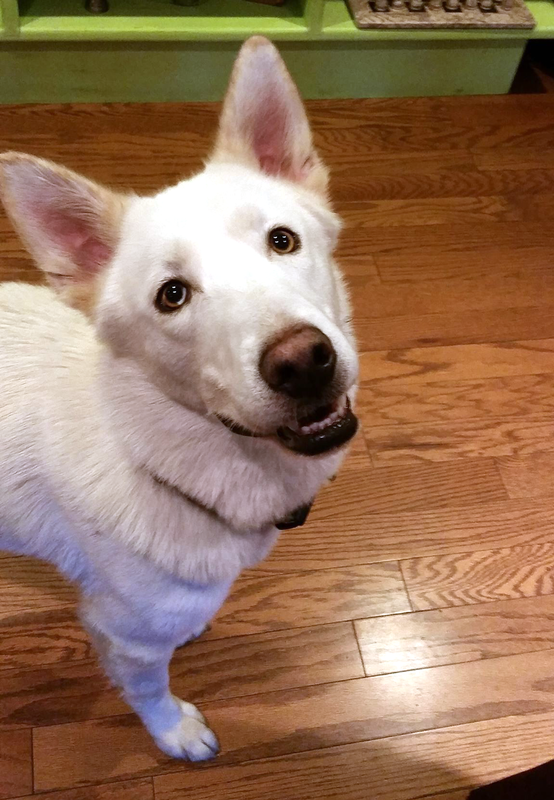 (SAVANNAH, GA) Max is a four year old Sheperd/Husky mix. He is a happy-go-lucky dog who loves to play. Long walks, car rides, and chewing on bones are a few of his favorite things. 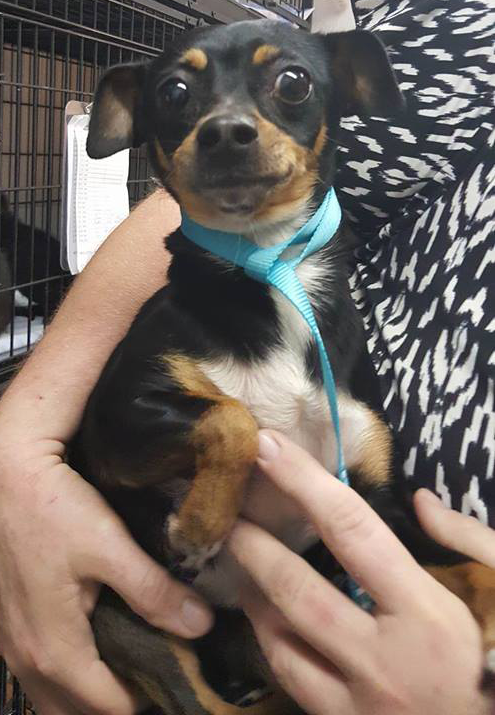 He is house and crate trained, but doesn’t fare well in an apartment. A backyard and a dog friend to play with would be ideal. 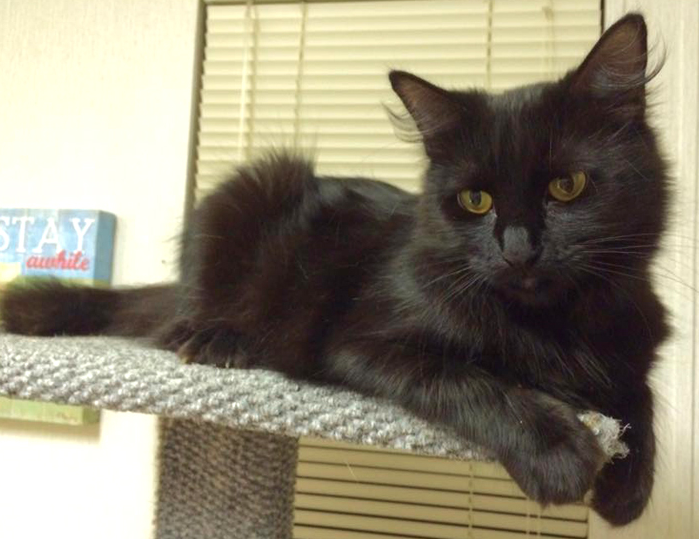 Max is Heartworm positive, but his adoption includes a six month supply of medication, and a retest after six months. 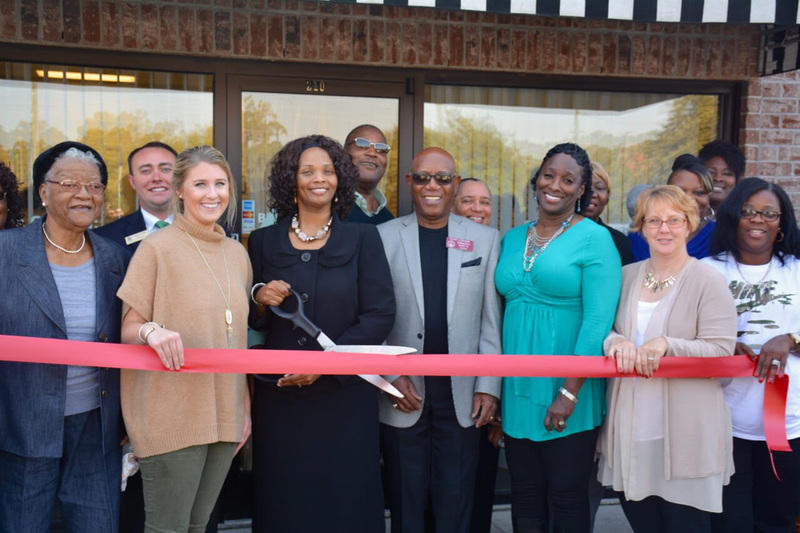 (SAVANNAH, GA) Stewart Income Tax & Business Services held a ribbon cutting for their new Savannah location at 4395 Ogeechee Rd #210. Leading up to and during the event, nonperishable food items were collected for Second Harvest Food Bank. The following items were collected: canned foods, peanut butter, boxed macaroni and cheese, Hamburger Helper, rice and cereal. Stewart Income Tax & Business Services was originally founded as a home-based business in 2014. They are an authorized e-File provider for the IRS. All of the preparers are Registered with IRS. The owner, Stewart, is a member of the National Directory of Registered Tax Return Preparers and Professionals. 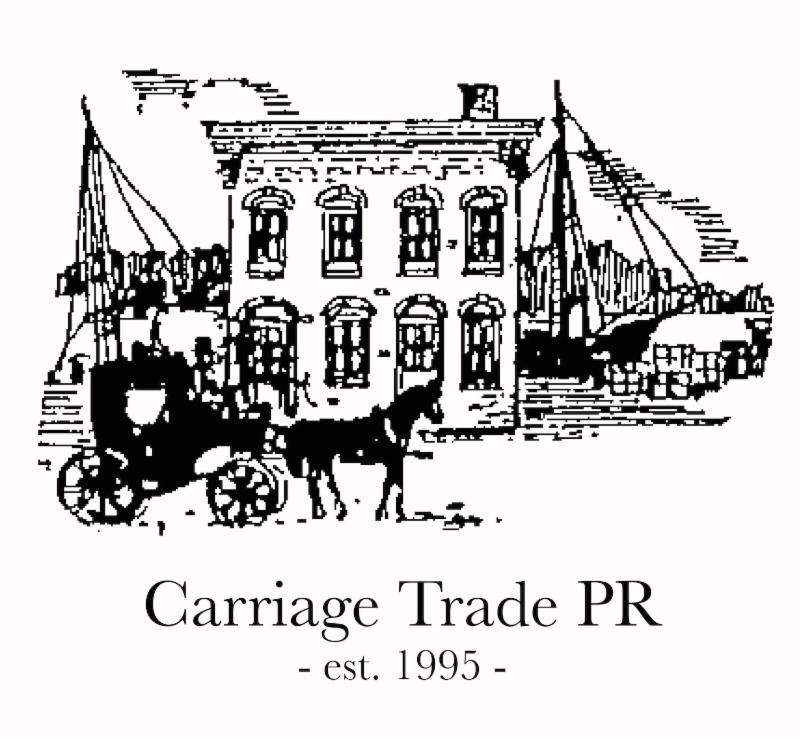 The office has also joined the Savannah Area Chamber of Commerce. 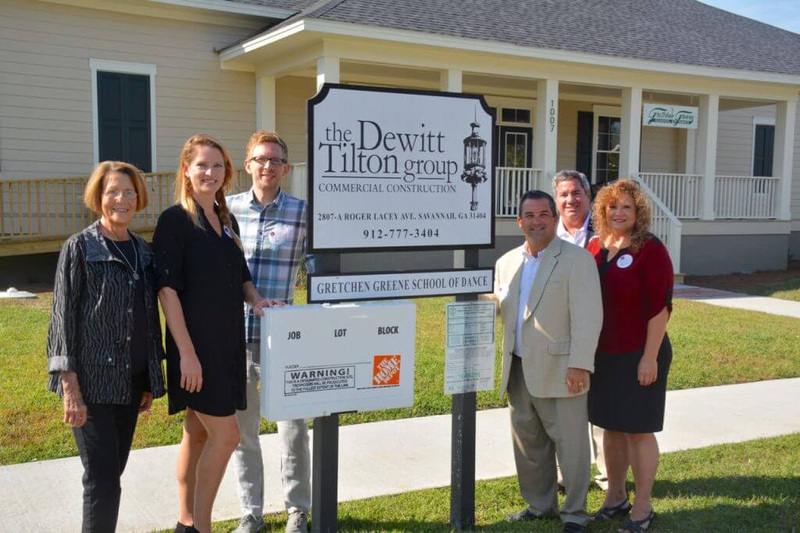 The new office is located at the intersection of Ogeechee Road and Chatham Parkway, behind Savannah Tire. It is open year-round Monday through Friday from 9:00 am to 4:00 pm with expanded days and hours from January through April. For more information, call (912) 358-0894, email info@stewartincometax.com or visit online at stewartincometax.com. Stewart Income Tax & Business Services is a locally owned and operated business, located at 4395 Ogeechee Rd #210, in Savannah, Georgia, 31405. The office offers tax preparation for individuals and small businesses, bookkeeping and payroll services. Primarily serving clients in Georgia, Florida, Alabama and Texas since 2014, Stewart Income Tax & Business Services offers tax preparation for all 50 states. The company provides secure, personal service and holds to a higher standard than most “commercial” tax preparation offices, extending a 100% guarantee to clients and standing behind all returns they prepare. Its seasoned staff is knowledgeable of tax laws through continued education, experience and training, enabling Stewart Income Tax & Business Services to maximize refunds by skillfully knowing and researching tax laws for credits and deductions clients may qualify to receive. 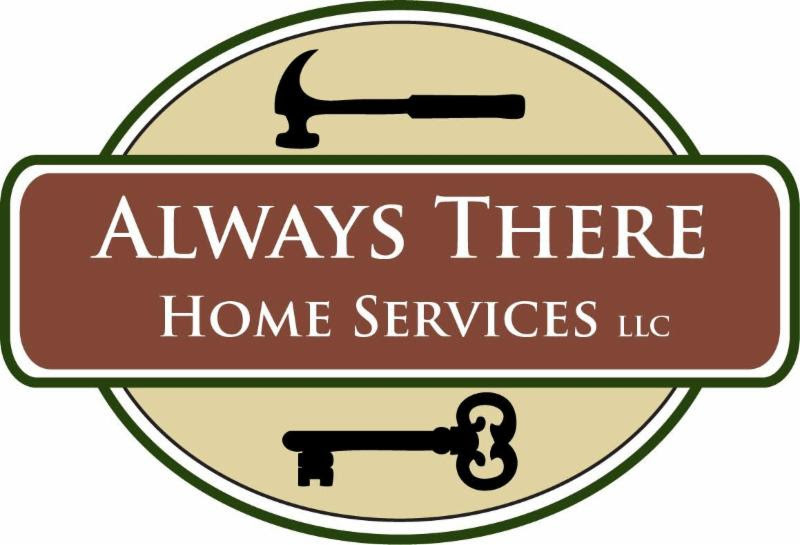 The office is open year-round at 4395 Ogeechee Rd #210, Savannah, GA 31405, Monday through Friday from 9:00 am to 4:00 pm with expanded days and hours from January through April. Walk-ins are welcome. For more information or to make an appointment, call (912) 358-0894, email info@stewartincometax.com or visit online at stewartincometax.com. 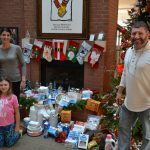 (SAVANNAH, GA) For the third consecutive year, Low Country Dermatology will hold a holiday donation drive to collect needed supplies for the Ronald McDonald House Charities of the Coastal Empire and to help stock a “holiday store” for RMHC families. Low Country Dermatology will accept donations through 5 p.m. on Monday, Dec. 19. 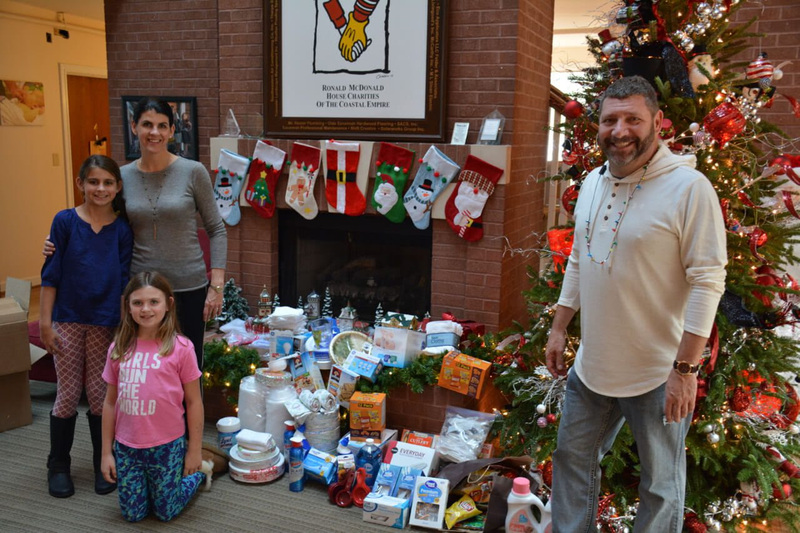 Items donated to the holiday store will allow parents who are staying at the Ronald McDonald House to pick out presents for their children and other family members. School-aged children: Nerf and Fisher Price toys; Legos and board games; toy trucks; dolls and dress-up clothes; puzzles and arts and craft kits. Teenagers: Footballs, volleyballs, basketballs; journals; adult coloring books and colored pencils; books and video games. 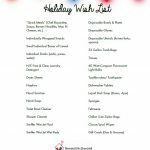 Adults: Robes and slippers; Bath and Body Works lotions and sprays; books & interactive journals; electric razors and gift cards for coffee, movies and meals. Wishlist items to support the operations of the house include: quick meals (soups, Ramen noodles, mac and cheese); individually packaged snacks, boxes of cereal and drinks; high efficiency free and clear laundry detergent and dryer sheets; hand sanitizer and hand soap; bathroom, shower and toilet bowl cleaners; Swiffer Wet Jet fluid and pads; disposable bowls, plates utensils and gloves; 33-gallon trash bags; 60-watt CFL light bulbs; toothbrushes and toothpaste, dishwasher tablets, sponges and liquid dish soap; Febreze; gallon zip-lock bags; tissues; disinfectant wipes and gas/grocery gift cards. All gifts should be unwrapped, and all donated items should be new, unopened and unused. Items can be dropped off through Monday, Dec. 19, during office hours at the Low Country Dermatology office at 310 Eisenhower Drive, Suite 12A. The practice is open Monday through Thursday from 8 a.m. to 5 p.m. and Fridays from 8 a.m. to 12 p.m.
Low Country Dermatology specializes in the treatment of adult and pediatric diseases of the skin, hair and nails. Dr. Corinne Howington is a board certified dermatologist with expertise in medical, surgical and cosmetic dermatology. Low Country Dermatology is located at 310 Eisenhower Dr. Suite 12A Savannah, GA 31406. For more information, visit lcderm.com. (THE BOWEN LAW GROUP) Multiple laws govern the employment of minorities and those with disabilities. If the company has violated those laws in the termination process, they may be held liable for wrongful termination. What constitutes wrongful termination in the state of Georgia? 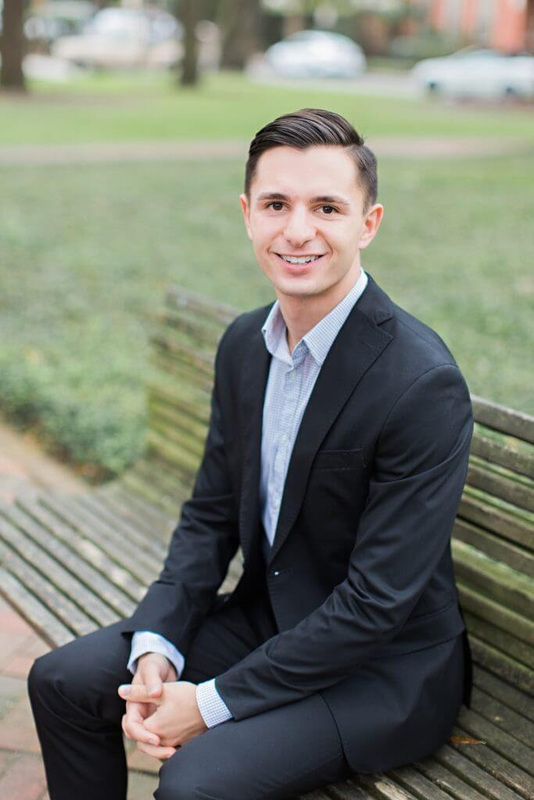 Read the article here: http://www.thebowenlawgroup.com/blog/what-constitutes-wrongful-termination-in-the-state-of-georgia? 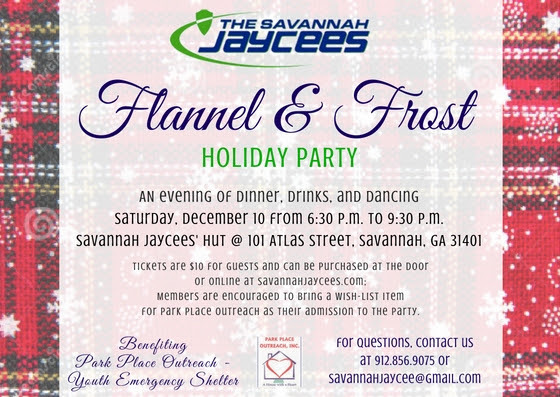 (SAVANNAH, GA) The Savannah Area Chamber is hosting Bands in the Ballpark on Thursday, November 17 from 5:30 – 7:30 p.m. at Historic Grayson Stadium. The cost is $10 for members and $25 for member guests. The event is being rescheduled due to Hurricane Matthew. 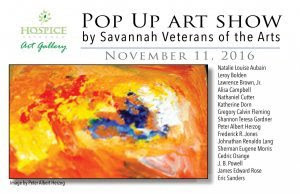 To sign up for the event, visit http://savannah.simpleviewcrm.com/webapi/rsvp/v2/?action=details&noredirect=1&eventId=13. 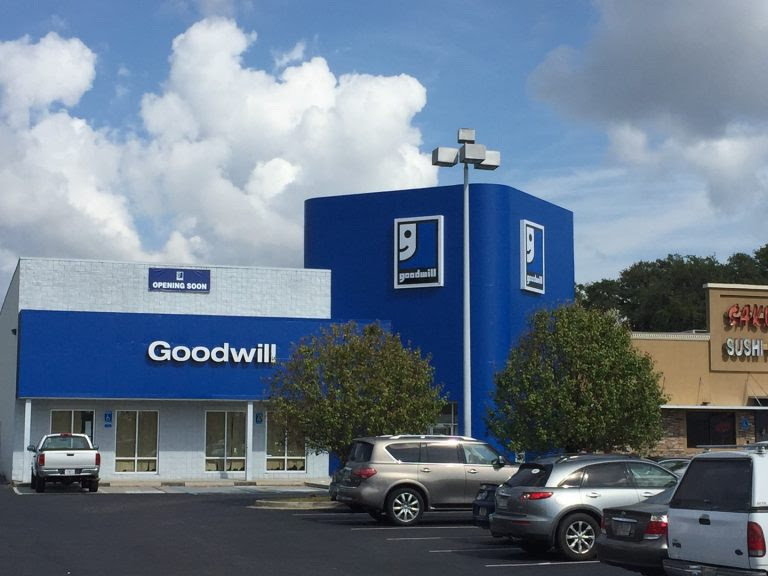 (SAVANNAH, GA) Goodwill of the Coastal Empire will open its newest retail location at 220 Eisenhower Drive, Savannah GA with a grand opening ribbon cutting at 9 am on Thursday, November 17. The public is invited to 3-days of special events including giveaways and other festivities. The first fifty customers will receive a Goodwill-branded donation bag. All shoppers will have a chance to win raffles throughout the grand opening weekend. The merchandise assortment will appeal to the budget and fashion conscious with apparel for men, women and children, women’s accessories and home and office décor items. The new store will occupy 6,800 square feet, which is 2,000 square feet larger than the current Sallie Mood sales floor. Shoppers will find an Idea Book with tips on how to repurpose upcycle and give items a second life. A Selfie Wall will encourage shoppers to share their finds on social media. The organization is transforming the previous Sallie Mood retail store into a last chance outlet store where merchandise is priced by the pound. The Outlet Store will be open Thursday – Sunday from 9 am to 6 pm. 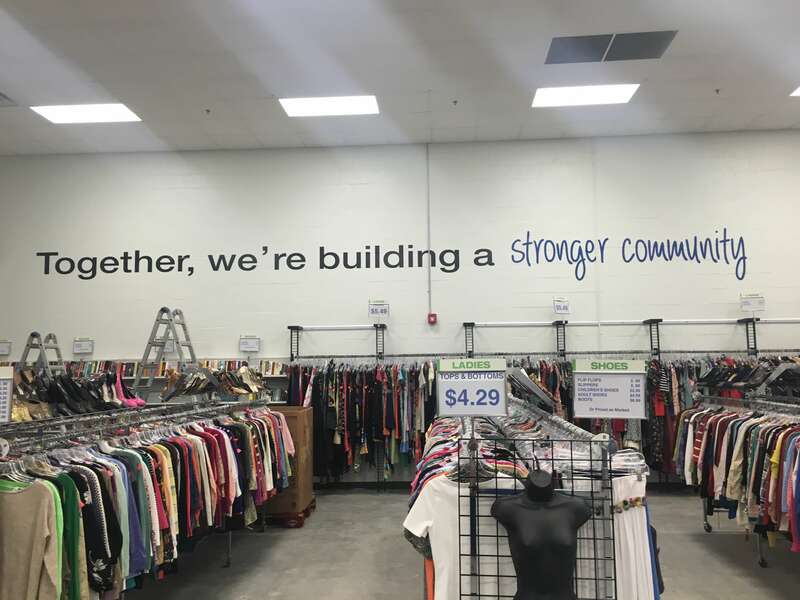 The new Goodwill store will be Mondays to Thursdays from 9 a.m. to 8 p.m., Fridays and Saturdays from 9 a.m. to 9 p.m., and Sundays 11 a.m. to 7 p.m. It is located at 220 Eisenhower Drive Savannah GA. For more information, visit http://www.goodwillSEGA.org. Goodwill of the Coastal Empire Inc. is a highly diversified 501© (3) social enterprise that funds job training programs, employment placement services and other community-based programs by selling donated clothing and household items. Goodwill of the Coastal Empire, Inc. operates 16 stores and five Career Centers in 33 Georgia and South Carolina counties. Goodwill also builds revenue and creates jobs by contracting with businesses and government to provide a wide range of commercial services including custodial, grounds keeping, staffing services, packaging and assembly and fabrication. For more information on Goodwill of the Coastal Empire, please visit http://www.goodwillSEGA.org. Find us on Facebook at Goodwill Southeast Georgia or follow us on Twitter at @GoodwillSEGA. 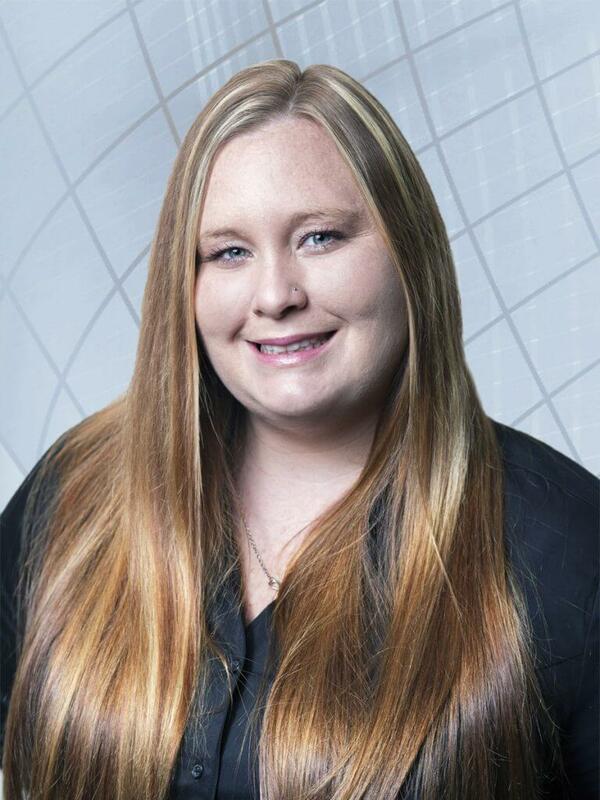 (SAVANNAH, GA) Speros, a full-service technology company headquartered in Savannah, announces that Amber Anderson has joined the firm as Carrier Management specialist. Her duties include managing carrier contracts and negotiations to deliver optimal service and pricing to customers. 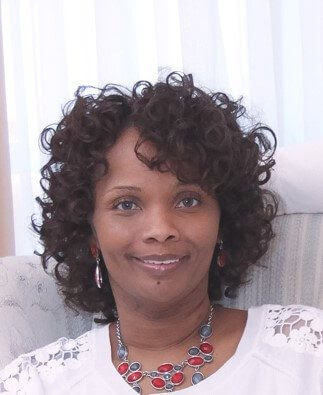 Anderson studied pre-engineering at Armstrong State University and her previous employment includes five years of carrier sales, carrier training and carrier technical support at CenturyLink. A native of Rincon, Georgia, she recently purchased her childhood home and is enjoying the renovation process. Established in 1984, Speros provides technology solutions for businesses, offering telephone systems, IT services, surveillance systems, web design and branding solutions, and cloud computing. 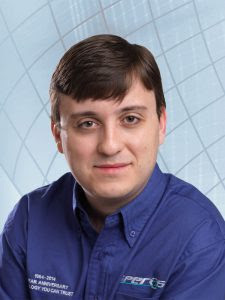 Speros team members continually stay updated on leading-edge, certified technologies to maximize solutions and ensure businesses succeed in this fast-paced, technology driven world. For more information, visit http://www.speros.com, call 912-354-8900 or email info@speros.com. Find Speros on Twitter at @sperostech. 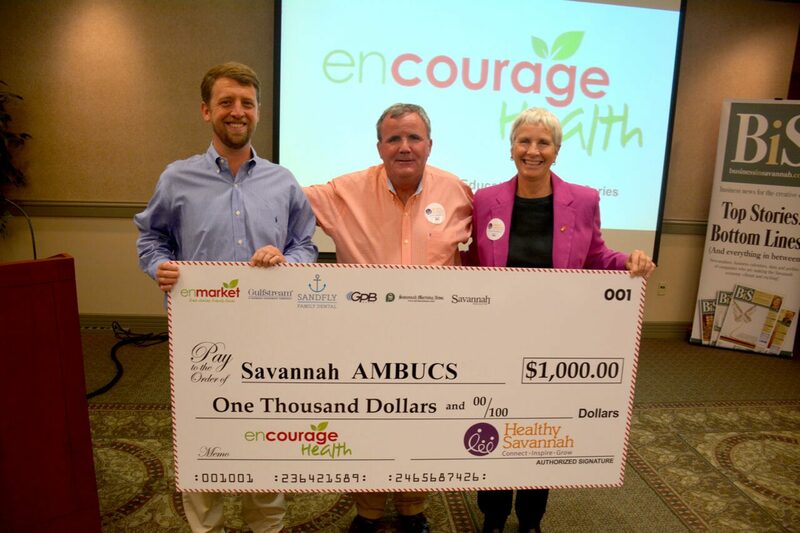 (SAVANNAH, GA) Healthy Savannah and Enmarket awarded a $1,000 Healthy Savannah grant to AMBUCS at the Encourage Health Series Lecture on using acupuncture to reduce inflammation in the body and improve longevity. AMBUCS is an organization dedicated to bringing mobility and independence to people with disabilities, primarily through donating their Amtryke therapeutic tricycles to those in need. The final lecture in the Encourage Health Education Series was by Bauer Coslick, owner of Vitality: Acupuncture +Integrative medicine, who spoke on, “10 Ways to Reduce Inflammation in the Body to Improve Longevity Through Acupuncture Practices.” The presentation covered the healing effects of acupuncture and the science behind it. Clements presented the check to Kevin Sheehan, President-Elect for National AMBUCS, before Bauser’s lecture. 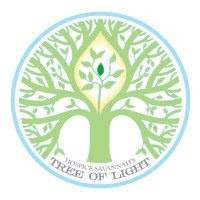 Three other organizations were given $1,000 awards earlier in the year, including Savannah Tree Foundation, Urban Hope and the Boy Scouts. During this final presentation, the grand prize was awarded to AMBUCS. At the beginning of the series, each organization received a QR code to be scanned with purchases at any of the 61 enmarket stores. The organization with the highest number of scans was selected as the winner and received the $1,000 final check, which Sheehan accepted as well. Enmarket’s 2016 series of wellness lectures was sponsored by Healthy Savannah, Sandfly Family Dental, Savannah Morning News, Savannah Magazine, Gulfstream Aerospace Corp. and GPB Savannah – WSVH 91.1/WWIO 89.9. The series features presentations on nutrition, fitness and general tips for healthy living. Selected 501©3 nonprofit organizations are awarded a $1,000 grant from Encourage Health Education sponsors and allotted an enmarket Dollar Day along with a chance to win a grand prize at the end of the series. 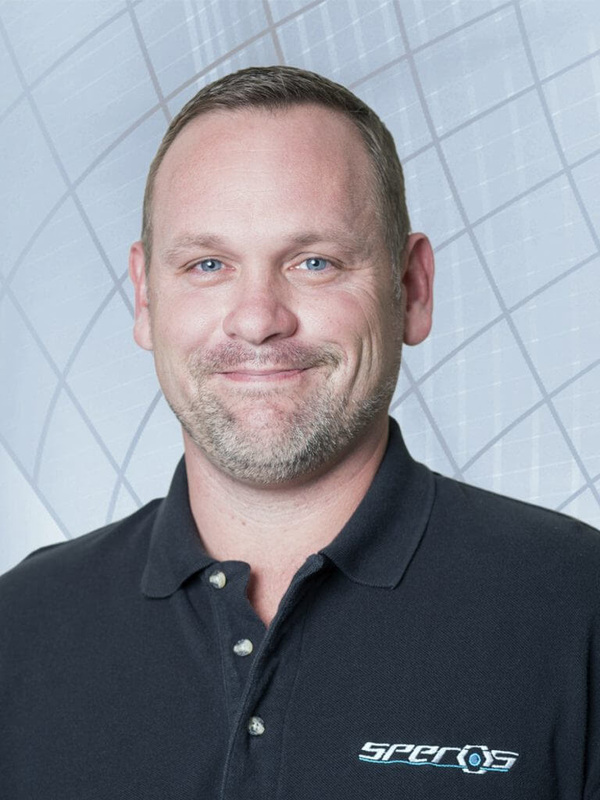 Founded as Interstate Stations in 1963 by Robert Demere, Enmark Stations, Inc., which recently rebranded as enmarket, is a family-run business committed to offering its customers top-notch service and superior products. Today, the Savannah-based company, which celebrated its 50-year anniversary in 2013, operates 61 stores in Georgia, South Carolina and North Carolina. Enmarket’s mission is to Enrich Life! Stores offer freshly prepared food and healthy snacks, high-quality double filtered gasoline, beverages, lottery services and more. Enmarket customers can save up to $.10 per gallon by using the company’s Cash Card, a reloadable stored-value card that can be used directly at the pump. Coupons, promotions, and a location finder are available on the free mobile app. For more information on enmarket, please call 912-236-1331 or visit http://www.enmarket.com. Follow enmarket on Twitter at @enmarkenjoy. 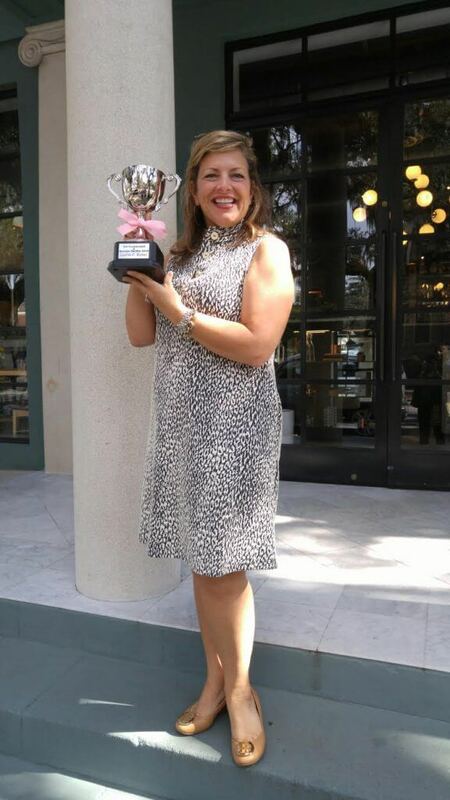 (SAVANNAH, GA) Susan G. Komen Coastal Georgia’s class of 2016 BigWigs in Savannah raised a record amount of donations during its annual fall BigWig Campaign. Ten local leaders raised a total of $46,990, making it a record year for the creative fundraising effort that asks community VIPs to don pink wigs to raise funds and awareness for breast cancer services in Coastal Georgia. Dubbed “BigWigs” by the local Komen Affiliate, these leaders led a six-week campaign to serve as breast cancer advocates, all while raising funds to save lives locally and advance global research initiatives. The original goal for the campaign was to raise $15,000 to fund these programs. The current campaign exceeded this goal by raising over $45,000, making it the most successful BigWig effort to date. Each BigWig asked friends and family for donations and held creative events during the campaign. 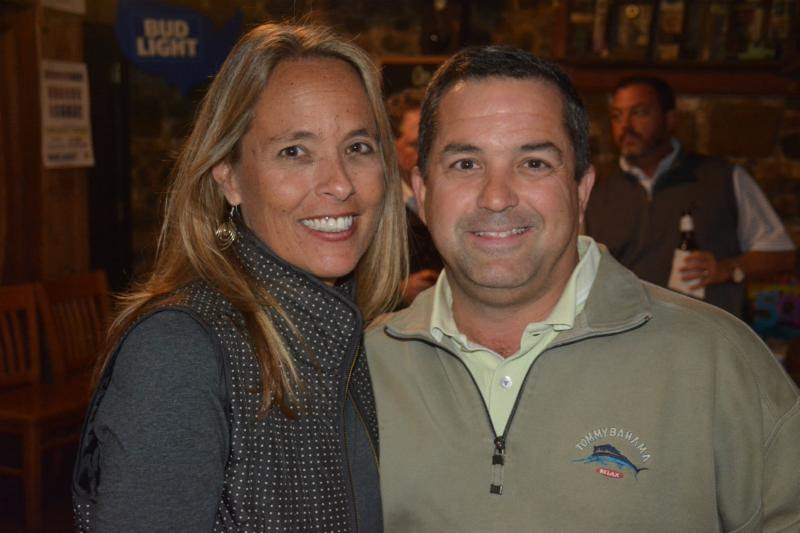 Fundraisers included everything from raffles to wine tastings to personal solicitations. Visit www.komencoastalgeorgia.org for more information. Nancy G. Brinker promised her dying sister, Susan G. Komen, she would do everything in her power to end breast cancer forever. In 1982, that promise became Susan G. Komen® and launched the global breast cancer movement. Our vision is a world without breast cancer. 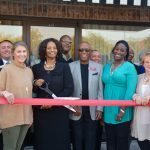 The Susan G. Komen Coastal Georgia Affiliate has invested over $2.2 million in local breast health programs and screenings in Bryan, Bulloch, Camden, Chatham, Effingham, Glynn, Liberty, Long and McIntosh Counties.